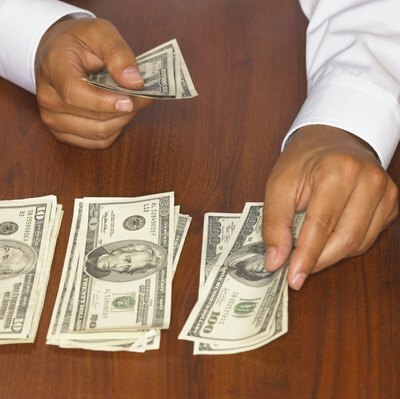 You have the option to take cash dividends or reinvest the money back into the company. Building an investment portfolio is no simple task for even the most experienced of investors. By limiting your choices to income-producing investments, however, you are narrowing down a universe of trillions of dollars worth of financial securities to choose from. To get the most out of your investment portfolio, you don't have to stick with income investments that have similar features or even those that trade in the same asset class. You should find that an investment income portfolio protects your initial investment and provides you with the revenue that you need to reach your financial goals. Create a risk and return profile. This is an outline that at a glance identifies your investment goals, need for returns and tolerance for risk. This plan will guide you when the time comes to select your income investments. Form an asset allocation plan based on that risk-return profile. This outline determines the percentage of your total assets that you will invest in various income investments. The greater your exposure to high-risk income investments, the more you must tolerate financial loss should the economy suffer. Count the number of years or decades you have to invest. If you're saving for retirement, you probably won't need the income for years. You can select income securities that not only provide income but also appreciate in value, which increases the size of your total investment portfolio. Refer back to your risk-return profile and prepare to make fixed-income selections for your investment portfolio. Government Treasuries are highly conservative fixed-income securities because the government is the least likely issuer to default on payments. Observe the current interest rates on Treasuries, as these rates will determine the size of your income payments. When rates are especially low, they could interfere with your ability to earn sufficient income to satisfy your need for returns. Research higher yielding bonds, including those issued by corporations and city governments. Higher yielding bonds produce higher income than government Treasuries, but they have lower credit ratings than traditional bonds. If high-yield bond issuers default, you won't get paid. Familiarize yourself with the current economic conditions, which will affect high-yield bond performance. 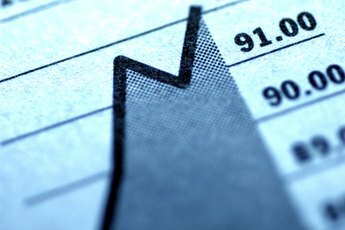 During an economic recession in 2009, 17 percent of high-yield bond issuers defaulted, according to a 2012 Charles Schwab article. When the economy stabilized, the default rate dropped to 2 percent. Select the mix of U.S. Treasuries, municipal and corporate bonds you would like to add to your investment portfolio. You can buy all of these from your stock broker and have the added option to buy Treasuries from the U.S. Treasury auction. Evaluate the past performance of stocks that provide income. These investments include dividend stocks, which are companies that use their extra cash to pay investors quarterly income. Like bonds, dividend stocks provide income, but unlike bonds they aren't contractually obligated to make those payments. If the financial situation of dividend-paying companies changes for the worse, dividend income can stop. Review the performances of considered dividend companies' stock prices. Even though you're investing for income, you don't want to sacrifice profits from a stagnant or declining stock price. Identify dividend stocks that have continued to pay dividends and whose stock prices have continued to rise even throughout market downturns. Look for high-yielding real estate investments trusts for your investment portfolio. REITs are funds that invest in commercial real estate property, return property income to investors via dividends and trade in the equity markets. In the three-year period leading up to 2012, REITs produced returns of nearly 20 percent annually, according to a 2012 "Wall Street Journal" article. Hire a full-service broker if you're looking for investment advice. If you plan to change your investments frequently, hire a fee-based broker so you don't get charged for each individual trade. Full-service brokers charge higher fees than discount brokers. Discount brokers don't typically offer investment guidance. Kiplinger: Should I Use a Discount Broker or a Full Service Broker? 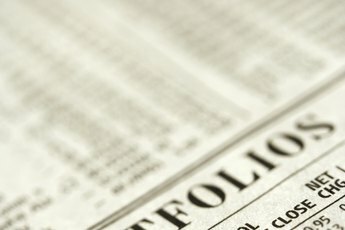 How Do I Build an Income-Based Stock Portfolio?